Today I added a headstone photograph and an inscription to the page of St. Mary’s Anglican Church Cemetery, Shiers Road, Harrigan Cove. I also added the death record information for Sherman David MacDonald. Sherman died tragically in a two-car collision at Quoddy, Halifax County, NS, in which he sustained multiple injuries. At the time, he was single and working as a fisherman. Also added to the site today was the birth record for Margaret Atkins. Margaret was born September 7, 1851 at Newdy Quoddy. She was the daughter of Frances Snow and Henry Atkins, a fisherman who was also born in the community. Today I added one headstone photograph to the St Mary’s Anglican Church Cemetery, Shiers Road, Harrigan Cove. Today, Minnie Lois Hayes’ headstone was added to the page for St. Mary’s Anglican Church Cemetery on Shier’s Road, Harrigan Cove. No birth record was found for Minnie probably because birth registrations in the 1880s were infrequent. Her marriage record was found on the Nova Scotia Genealogy website. She married Gilford Morris MacDonald on November 18, 1913 at Harrigan Cove. The record shows she was born at Harrigan Cove and living at Beaver Harbour. However, her death record states she was born at Isaac’s Harbour, Guysborough County, NS. Since her father was born at Isaac’s Harbour, I’d have to say that’s where she was born too—but maybe not. Read on. Minnie was 27 when she married to Gilford, who was 28. According to the death record, Minnie was born on January 28th. No year was given, but her age of 53 years, 5 months, 22 days, indicate, she was born in 1887, not 1888 as the headstone suggests. She was the daughter of Mary Shiers, born at Harrigan Cove, and Joseph Hayes, born at Isaac’s Harbour, a fisherman. She died on July 20, 1940. Minnie lived for 23 years at Harrigan Cove before she died. Her sister Winnifred Wamboldt (sic) (probably Wambolt) of 90 Young Street, Halifax, NS, gave the information for the death record. Minnie Hays (sic) was found in the 1901 Canada Census, Nova Scotia, Halifax County, Port Dufferin, page 21 (Automated Genealogy). She was recorded as 14 years old, having been born January 28, 1887 (that’s 2 records for 1887 and 1 for 1888). She was the step-daughter of Leonard Jewers. It appears her father had passed, and her mother Mary (age 42) had married again. Also in the household was Leonard’s step-children Bessey Hallet (age 21), Frank Hallet (age 19), Standford Hallet (age 18) and Winnie Hays (age 11, born September 26 (or 20), 1889). Winnie would have been Minnie’s sister Winnifred, who provided the information on her death record. Minnie and Winnie had both spent 10 months in school in 1900. Looking further, I found Minnie’s mother’s delayed birth registration. Her full name was Mary Sophia Shiers and throughout her life, she used one or the other and sometimes an initial. Mary was born May 19, 1846 at Harrigan Cove. Her parents were Ann Backett and Frederick Shiers, a blacksmith who lived at Harrigan Cove. He had been born at Eastern Passage, Halifax County, NS. More on Mary Sophia Shiers tomorrow. 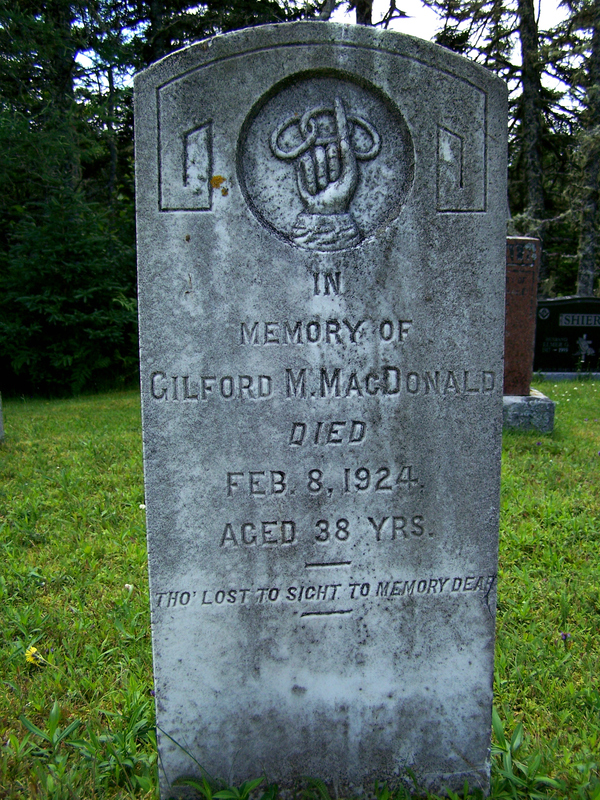 Today Gilford Morris MacDonald’s headstone was added to St. Mary’s Anglican Church Cemetery on Shier’s Road, Harrigan Cove. 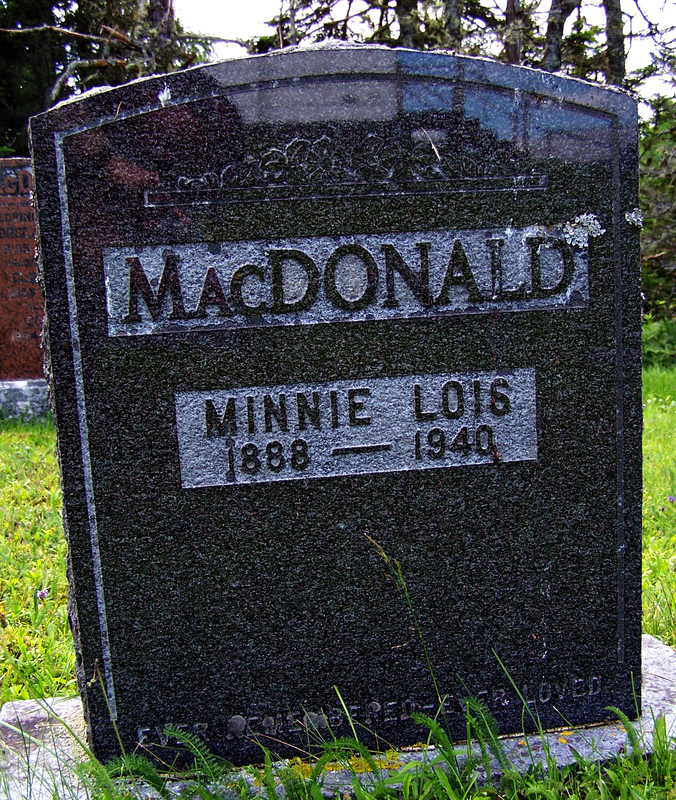 His death record was found on Nova Scotia Genealogy, stating he was born September 15, 1885 at Harrigan Cove, and that he was the son of Isabel Marks (born Ship Harbour) and Captain James MacDonald (born Harrigan Cove). The surname is spelt McDonald in this record and his marriage record. Gilford was married to Minnie Hayes at the time of his death. They had married on November 18, 1913 at Harrigan Cove. The record shows Gilford being born at Isaac’s Harbour and living at Harrigan Cove, but that might be the other way round. Which means Minnie was born at Beaver Harbour, not Harrigan Cove, and she had been living at Harrigan Cove at the time of the wedding. Gilford was 28 at the time and working as a clerk, perhaps with his father who was a merchant. Minnie was 27 years old, the daughter of Mary and Joseph, who was a fisherman. Also added to the site today was the marriage record of Amelia Publicover and Peter Moser who married on December 22, 1871 at Halifax, NS. At the time of their marriage, they were living at Bay of Islands. Amelia, the daughter of Jane and John Publicover, was 24 years old. Peter, the son of May and Jacob, was 26 years old. I added the following headstone to the site today. It is found at St. Mary’s Anglican Cemetery, Shiers Road, Harrigan Cove, NS. son of Susan and William F.
Looking for clues to this young boy, I searched for his death record on the Nova Scotia Genealogy website. None was found. He lived between the 1911 and 1921, so he wouldn’t show up in any census records. The closes match in my search was Alexander Absolom, son of Susan Fleet and William F. McDonald. Alexander lived only 3 months and 10 days. 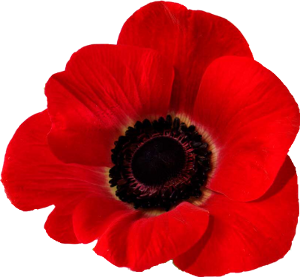 He died on May 18, 1915. 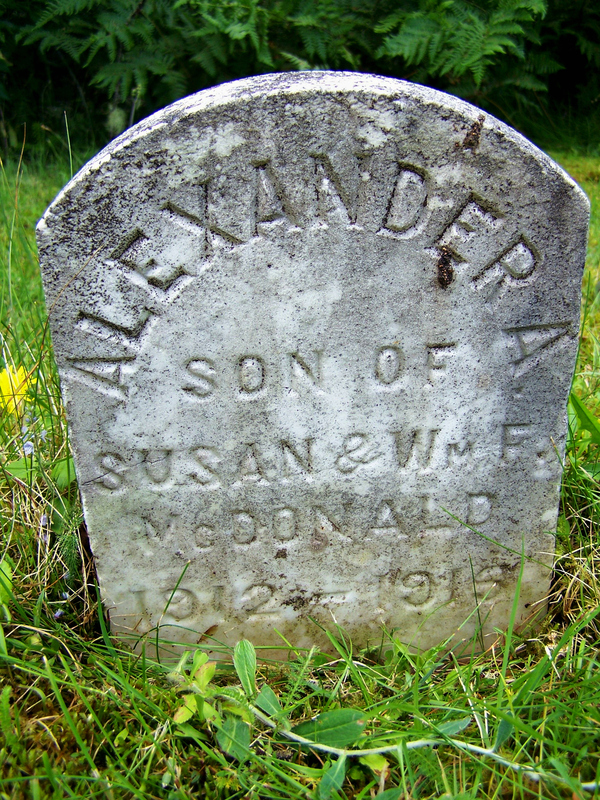 Unless the headstone contains incorrect dates, this is NOT the Alexander A. McDonald buried here, but another son of Susan and William with the same name. You can view Alexander Absolom McDonald’s death record, and the marriage record for his parents. Susan Fleet married William F. McDonald on June 5, 1908 at Port Dufferin, Halifax County, NS. Susan’s father’s name was Absolom, so we can assume she named her son after him. Mosher – McDonald, Frances Elizabeth, who was born October 5, 1842 at Harrigan Cove, the daughter of Thomas Mosher. 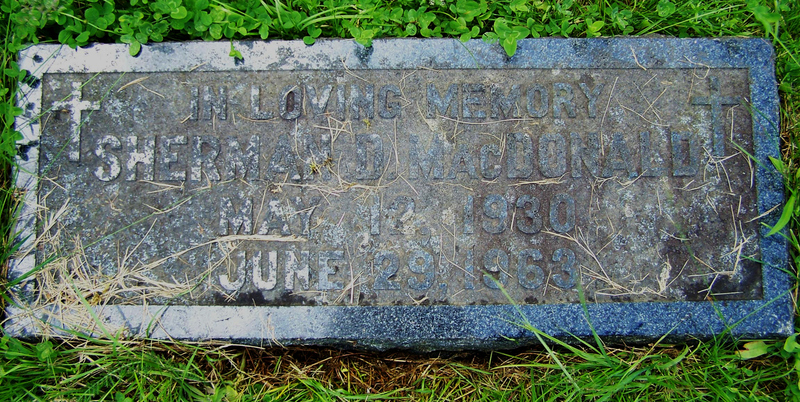 She died at the age of 94 on March 30, 1937 at her son’s, Norman McDonald, home at 4 Lockman Avenue, Halifax, NS. 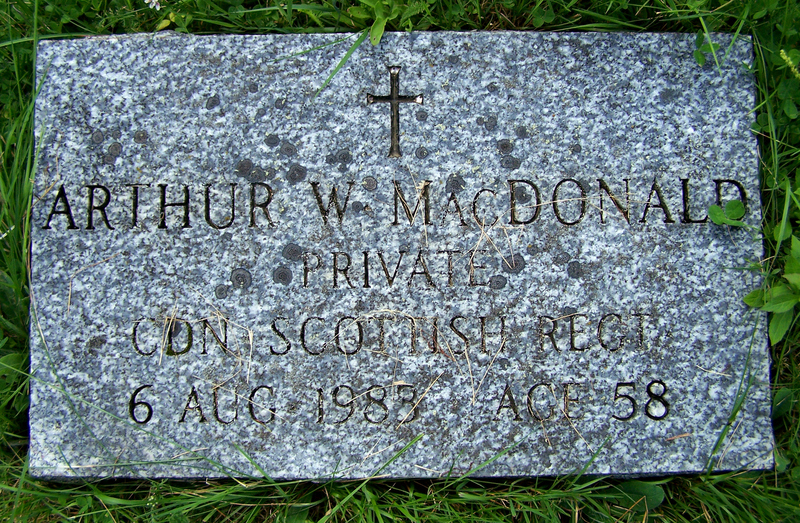 She was buried at Trenton, NS on April 2, 1937. Besides tidying up a few pages and correcting a few errors, I added the following. I also transcribed page 148 of the 1838 Canada Census for Bay of Islands.